We can’t say enough nice things about this horse! Bred to succeed, “Assault” was the First Premium Site Champion at his foal inspection! This 5 year old 16.1 gelding is by an AWR approved son of Puerto D’Azur (BWP) out of a registered Quatogan Du Vieux Chateaux (BWP) mare. He is registered with the American Warmblood Registry. 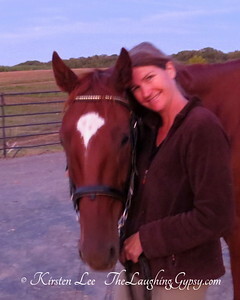 Assault is a bright chestnut with flashy chrome lending to his stunning presence. He is an easy horse to work with, with a remarkably willing and laid back personality. Assault had an idyllic upbringing, running the hills of his breeder’s farm. Those of you who prefer to let youngsters mature physically before starting into work-this is the horse for you! He had just begun ground training when his owner’s health forced her to give up horses. Assault longes, loads, clips, bathes, wears tack and is learning contact with sidereins. The video clip does not do him justice! Assault has taken each step in stride- no fuss, and no hint of buck. He is ready to start under saddle and thrive in any direction he is taken. Priced at $4900 for simple sale, due to owner’s health. This entry was posted in Equine Alumni. Bookmark the permalink.